Two thousand five was a great year. 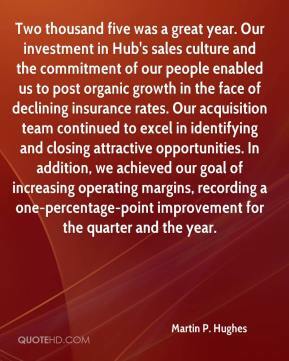 Our investment in Hub's sales culture and the commitment of our people enabled us to post organic growth in the face of declining insurance rates. 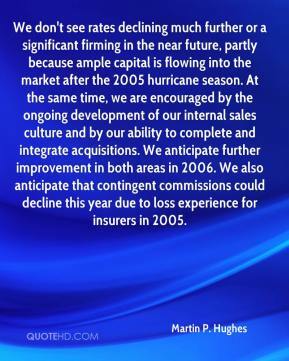 Our acquisition team continued to excel in identifying and closing attractive opportunities. In addition, we achieved our goal of increasing operating margins, recording a one-percentage-point improvement for the quarter and the year. 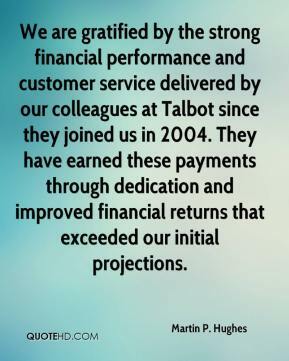 We are gratified by the strong financial performance and customer service delivered by our colleagues at Talbot since they joined us in 2004. They have earned these payments through dedication and improved financial returns that exceeded our initial projections.